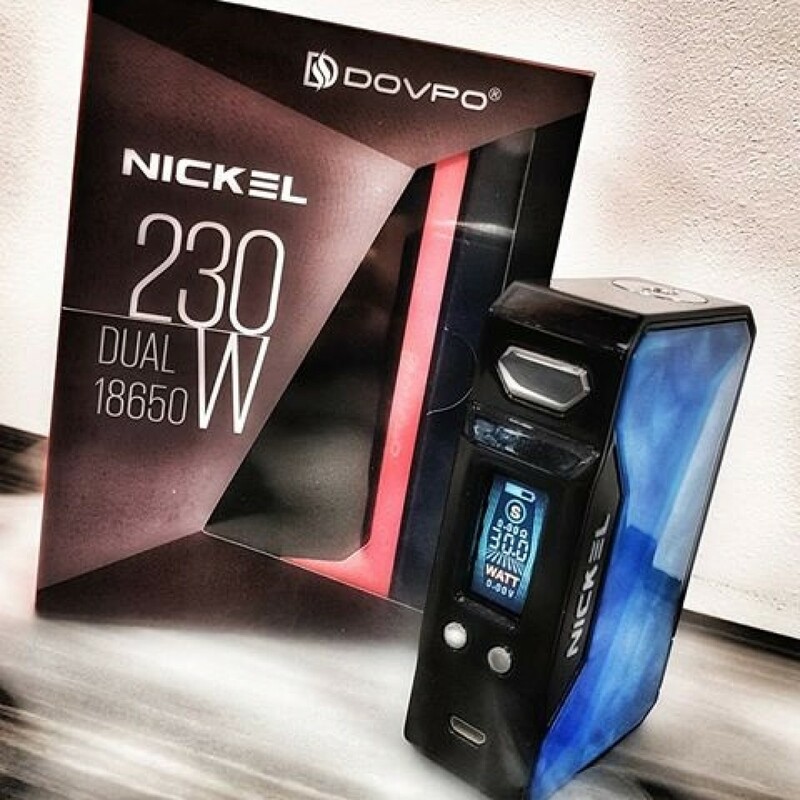 Today we take you to the Chinese manufacturer " Dovpo To discover a new electronic box: Nickel 230W. Want to know more ? Well, let's go for a complete presentation of the beast. NICKEL 230W: ELEGANT, ORIGINAL AND POWERFUL! 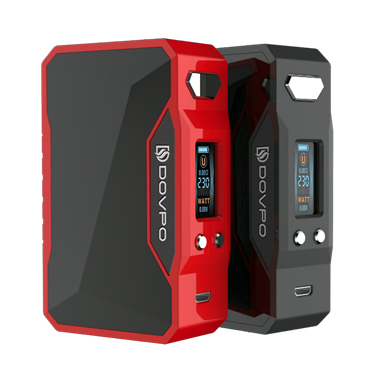 Over time, the Chinese manufacturer Dovpo has forged a true brand image with distributors and vapers. Today, this one presents his brand new electronic box: The Nickel 230W. Rectangular and completely designed in zinc alloy and polycarbonate, the Nickel 230W box is compact, ergonomic and design. Aesthetically we find ourselves in front of an elegant box futuristic look that still keeps a certain sobriety. On the main facade there will be a large switch, an oled color screen of 0,96 ", two dimmer buttons and a micro-usb socket for reloading and any firmware update. Operating with two 18650 batteries, the Nickel box can reach a maximum power of 230 watts. There will obviously be many modes of use including variable power, temperature control (Ni200 / Ti / SS316L), and TCR. Simple and rugged at the same time, the 230W Nickel will fit easily to most of your atomizers and clearomizers. The new box Nickel 230W by Dovpo is now available for 55 Euros about. Previous: HEALTH: 80% of bladder cancers attributable to tobacco consumption. Following : VAP'NEWS: The e-cigarette news of the 23 Weekend and 24 February 2019.